Many of us in HR know that referral hires tend to work out much better than those identified via more traditional sources (like the company ATS, job boards, and career sites). With that said, it may shock you to learn just how much better referral hires often are. 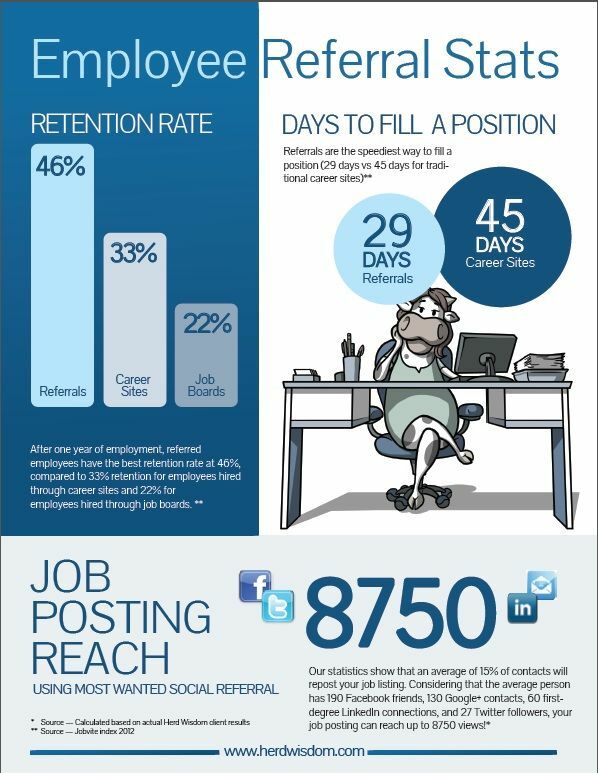 Check out this great infographic below from herdwisdom.com sharing the facts on why referral hires are so great and then start asking your employees for recommendations! Great infographic. Thank you for sharing. We agree that referral programs are so vital.